Windows Phone 7 already set for huge upgrade? First Windows Phone 7 update to be huge? Microsoft's new Windows Phone 7 platform could already have a major update in the works. "Things in the future are going to be different: for instance the next set of chassis specifications are going to be different. "The first update for [Windows Phone 7] might not be OTA (over the air)." This means that the new update is likely to be significant - updates to other operating systems have been up to 100MB in the past, and have been available to download wirelessly. 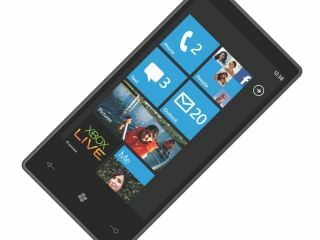 So what is Microsoft planning for the first update to Windows Phone 7? Flash integration? Copy and paste? An overhauled browser? "With a Metro in places like Japan or Spain you get off and look at a simple map that makes it easy to see where you want to get to. That's what we wanted to do: create an interface that makes it easy to do what you want to do."